Home - We’ve heard of Roman Roads, but Roman Windows? We’ve heard of Roman Roads, but Roman Windows? 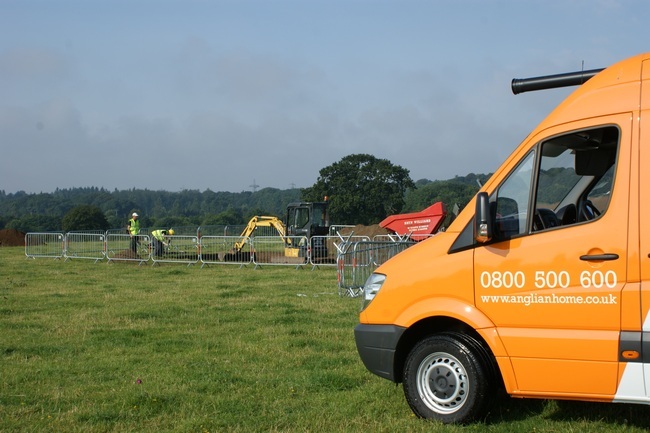 What does a Roman dig just south of Norwich have to do with Anglian Home Improvements you may well ask? Well, very little is the true answer, other than the fact that Ian, one of our Anglian colleagues, said he would be helping out there as he has done in previous years. As a result Anglian was only too pleased to offer assistance to the Caistor St Edmund 2012 Archaeological dig, when asked. The site was originally discovered by an RAF crew during 1929, which flew over the area taking photographs during a particularly dry summer. Outlines of what were thought to be many buildings could be seen from the air in the parched crop. The pictures were printed in the Times newspaper causing a sensation at the time. Since then the site has been dug on many occasions, revealing more of its history each time. 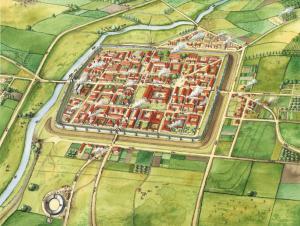 The now known Roman town of Venta Icenorum thought to mean ‘Market Town’ was previously inhabited by the Iceni tribe, who were ruled by Queen Boudica around AD60/61. The people of the time, revolted against the conquering Roman Empire, but ultimately lost their fight to keep the Romans out and maintain the rule of Queen Boudica. Once the Romans had established themselves in the area, they would have look after the people, by rewarding those that had taken sides during the revolt, by giving them important jobs in the law courts and town councils. Following further surveys of the site, it is thought that the area may date even further back in our history, amazingly as far back as the Iron Age. 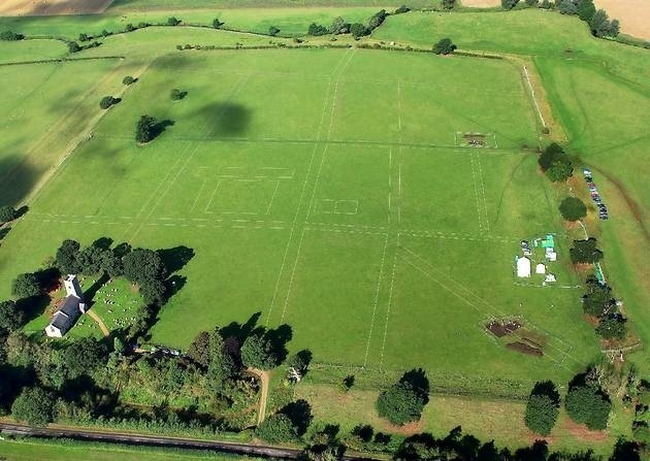 This year’s team of archaeologists and helpers at the site hope to find further artefacts that will help to date the site and understand the rise and fall of the Roman town, which was a predecessor to the now modern city of Norwich. Th team are unloading important equipment from one of our vans. Fruit boxes are used to store the artefacts in when they have been cleaned. The finds usually include pottery, bones and other items from the period, but every dig is different. Preparation of the site started a few days before the scheduled start of the dig, ensuring that once everyone is at the location, they can start looking in the lower layers of the soil structure for the hidden treasures from our history. 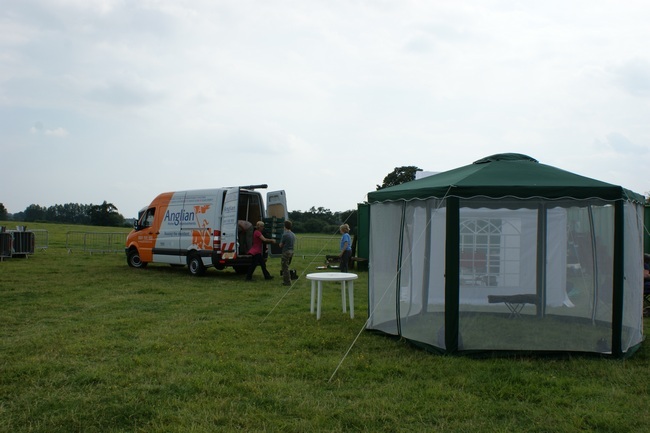 The diggers taking off the top layer of soil behind our conveniently positioned van! Ian explained that it had been a great project to get involved with over the years. Last year the dig unearthed a human skeleton and the dig team were able to give an insight into its burial position and life during that time. Ian said that removing the soil is an exciting part and wondered what would be uncovered this year. Excavation work and ongoing photography has revealed the possible outlines of semi-circular buildings being found next to what is thought to be the town’s Roman temples and theatres. These findings suggest that this was the site of a previous settlement and pre-dates the Roman artefacts found. This year’s project represents collaboration between Nottingham University lead by Dr William Bowden, the Norfolk Archaeological Trust (who own the site), South Norfolk Council (who manage the site) and Norfolk’s cultural heritage community of Museums, Historical Services, Trusts and a number of sponsors including Anglian Home Improvements. 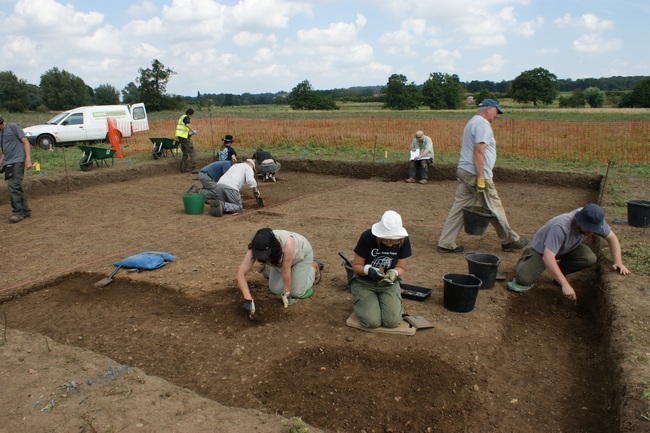 The dig runs from the 11 August – 1 September and is open to the public from 9.30am – 5pm daily with a guide on hand to explain the site to visitors. The ground has lain more or less undisturbed for thousands of years, we are sure it will reveal many more secrets during this year’s excavation.